3 creative paths, one goal. Studio One is your creative companion from start to finish. The Start Page provides what you need to kickstart your creative process—open projects, set parameters, and check for updates and tips. From there, the Song Page is all about recording, arranging, editing, and mixing your music with a complete set of virtual instruments, effects, and groundbreaking arrangement tools. Then, assemble and master your music in the Project Page. Even better, the Project and Song Pages are linked so if you need just that one little change in your master or stems, switch to the Song Page, tweak, and mix back automatically to the Project. 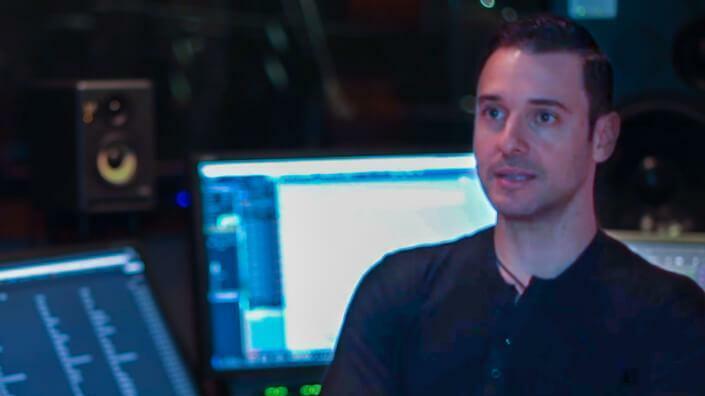 No other program accomplishes the goal of such an effortless transition as you move from the initial creative inspiration to the finished, mastered production. Forget laborious transposition, cutting, pasting, and moving when arranging. With Scratchpads to test out arrangements, an Arranger track that makes moving sections of songs around as easy as moving Parts, and the groundbreaking Harmonic Editing—the most flexible chord track implementation ever—no other program can approach the ease of arranging and songwriting that Studio One 4 delivers. Far more than just a simple chord track for note data, Studio One 4’s Chord Track is a songwriter’s dream come true. Create and change chord progressions, try out chord substitutions, substitute rich chords for simple ones, even have older parts follow a new, better chord structure you came up with thanks to the inspiration Harmonic Editing can provide. 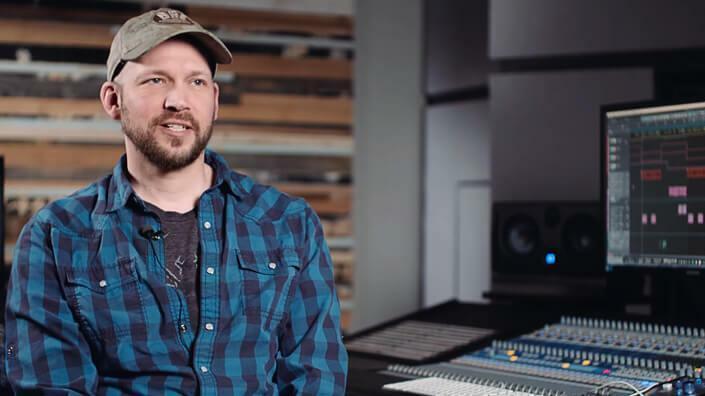 This breakthrough, which works with instruments and even draft audio tracks, underscores Studio One’s commitment to streamline the songwriting and music creation process. Learn more about Harmonic Editing, Chord Detection, and the Chord Selecter. We know that creating music is a dynamic, living process. Arrangements change, chords shuffle. Space opens up for solos or closes to tighten up the song. Inspiration strikes in the middle of the night, and your creativity pursues an entirely new direction. It’s all part of the art of songwriting and composition, and Studio One is your creative companion during this process. 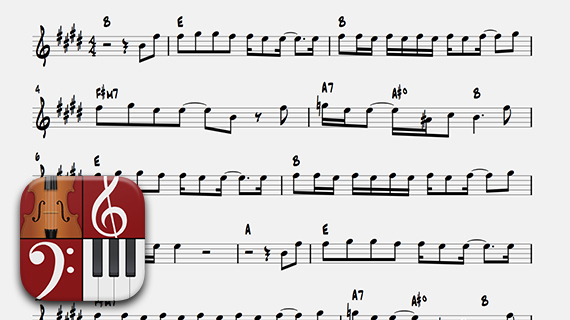 The Arranger track is a simple, intuitive way to move around song sections. Try out different arrangements, swap sections, lengthen or shorten solos, and structure a song exactly the way you want. 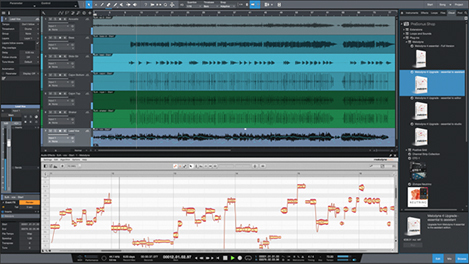 Arranging has also been enhanced with ripple editing, a technique borrowed from the world of video editing. 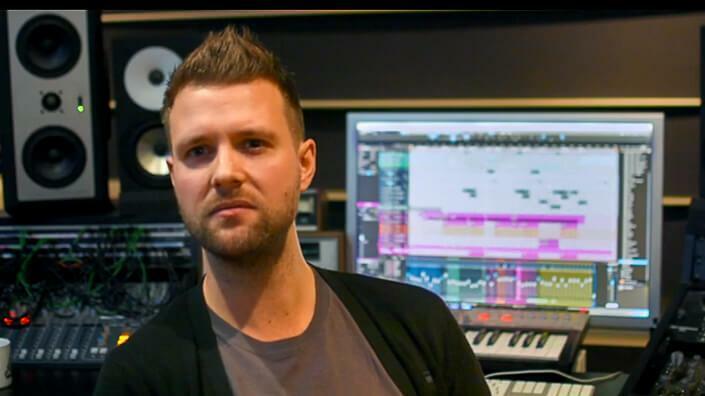 When you insert a new section in the middle of a song, Studio One automatically inserts space for the new material and then closes up the arrangement around it. And when you cut out a section of a song, you don’t need to cut, copy, and paste; delete the region, and Studio One closes up the cut portion automatically. This isn’t just about the time you save but about a smoother, more accurate workflow. Of course, Studio One also pioneered Scratch Pads so you could test changes without disturbing your existing arrangement or song tracks. 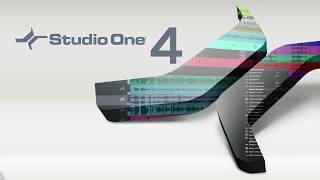 With Studio One 4, songwriting and arranging reach a higher level with yet another Studio One first: Harmonic Editing. Go ahead… insert an instrument and start playing. When you come up with something you like, drag it to the Chord Track, which automatically detects and shows the chords you played. Now you can have subsequent parts conform to the Chord Track or change the Chord Track at any time; the rest of the arrangement follows these changes. Drag chords around. Substitute chords to see if they sound better. Split off an independent bass note from chords. Export chords to Notion 6.4 (or higher) for effortless lead-sheet creation and printing. Even use Harmonic Editing to smash creative blocks and inspire you with new ideas. 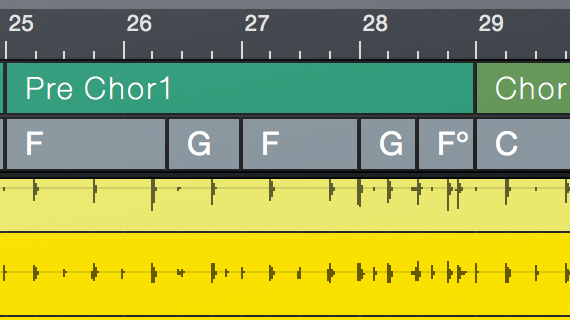 What’s more, the Chord Track works with audio tracks as well as with instrument tracks. It has never been easier to “prototype” a song so quickly and simply—and keep your creative spark alive. 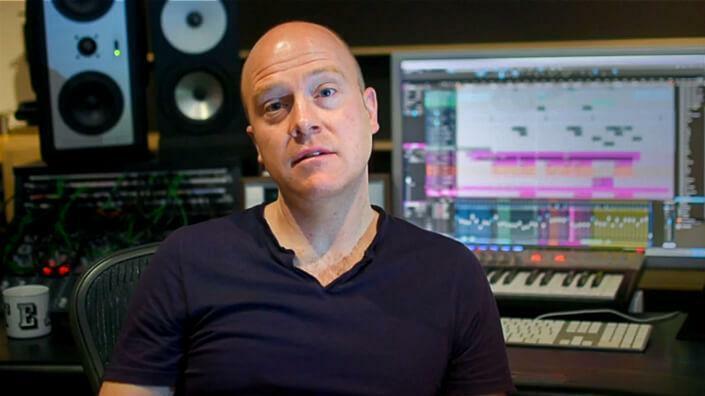 Harmonic Editing opens up the world of harmony and chord structures not just to composers but to all musicians. 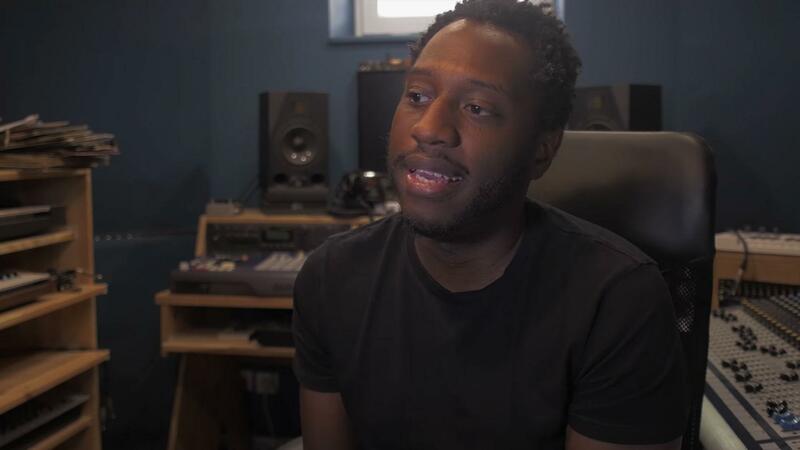 Whether you’re writing your first song or doing orchestral scoring for film, once you use Harmonic Editing you’ll wonder how you got along without it. Pipeline XT: Cross the analog/digital divide. Studio One Professional’s unique Pipeline XT plug-in lets you use your beloved collection of boutique, vintage, and classic analog signal processors as easily has software plug-ins. 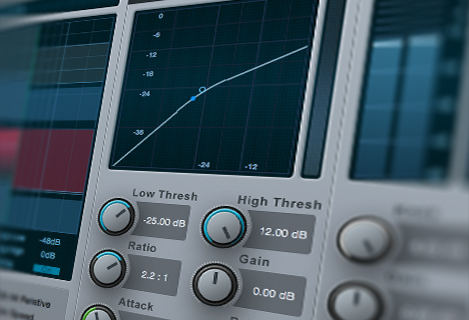 Latency compensation is automatic, so you can easily mix and match your plug-ins and hardware. Dust off that RE-501 and get to work! 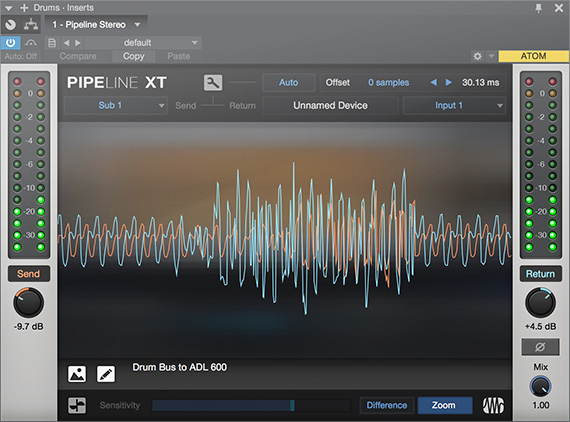 Pipeline XT makes it easy to integrate hardware processors with plug-ins, managing the signal flow to and from the external processor. Simply click the Auto button after setting up the send and return connections, and the latency will be measured and compensated automatically. You can then use the Offset parameter to make manual adjustments, up to a maximum of 32,000 samples. Although Pipeline XT is a stereo plug-in, it supports mono sends without losing a second hardware output—perfect for use with mono-in / stereo-out processors. A note pad lets you add text notes to your presets to document specific setup instructions and parameter settings for your hardware processor. You can even take a snapshot of your hardware processor and drag it into the Pipeline XT center display to capture hardware settings for later manual recall. Click on the image to expand it to full size and switch between image view, ping view, and oscilloscope. Background colors, device names, custom images, and text notes are all saved with your Pipeline XT presets. With its rich roster of native plug-ins, Studio One has earned its reputation as a complete production package—and now our latest generation of virtual instruments, based on input from the Studio One community (thank you), deliver even more. Impact has been remade into Impact XT, a comprehensive beat and rhythm production environment, and Sample One XT samples, slices, and dices to create great beats and realistic instrument sounds. 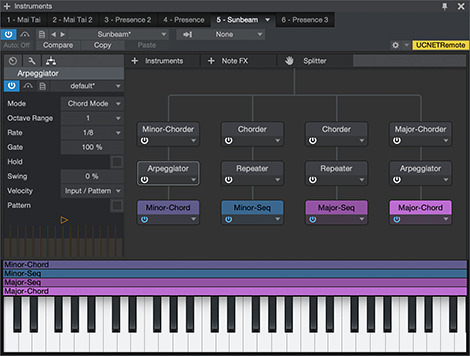 These new instruments don’t feel like separate plug-ins, but as integrated—and integral—parts of music creation. Click here to meet your new creative partners. Fully backward compatible with Impact, the XT version adds more than 20 new, highly requested features and improvements. You can even create complete arrangements in a single Impact XT by launching loops that sync to your Song with real-time stretching, beat quantization, and synched start/stop. 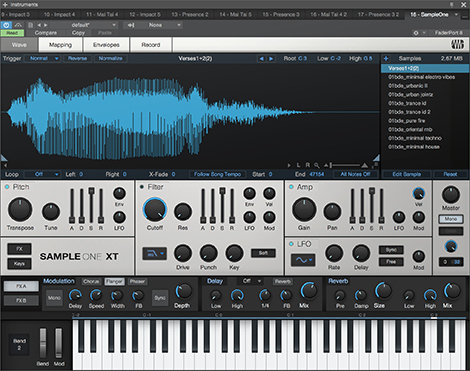 Sample One XT has expanded from sample playback into a sampling powerhouse. Sample, auto-slice, stretch, process, trigger, and de-construct audio (sampled from inputs or imported from a track) for breathtaking freedom in constructing powerful new performances and beats. 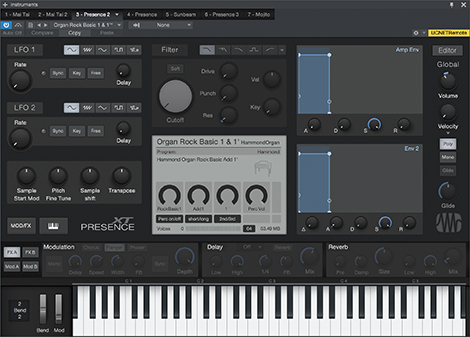 Presence XT: For the most realistic-sounding virtual instruments yet. Presence XT is equipped with articulation key-switching and powerful scripting capabilities for nuanced, lifelike sounds. Many Guitars and Basses have adjustable fret-noise; Acoustic Piano has custom controls for sustain pedal noise; all Hammond Organ presets come with drawbar controls and switchable percussion; and Strings and Brass presets feature legato scripts, to name a few examples. Mai Tai’s sounds can change character and produce drastic morphing changes and unique timbres. Its Multimode filter offers sounds ranging from vintage analog to state-of-the-art "zero-delay feedback filter" sounds. 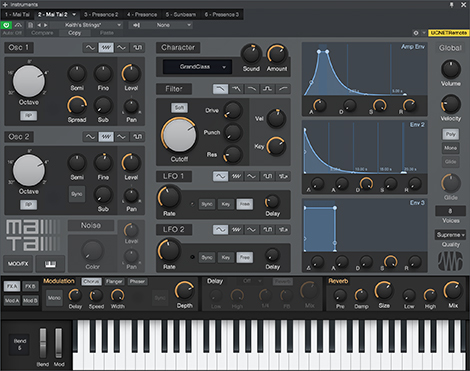 Mai Tai’s oscillators and LFOs have a free-run mode, like an analog synth. Get modular-synth-style operation for enormously complex sounds, through Mai Tai's 16-stage modulation matrix. Mojito: The monster bass machine. Mojito provides pulse and sawtooth waveforms, both rich in harmonics, which are passed through an analog-style, resonant, 24 dB/octave low-pass filter that can be modulated by key position, ADSR envelope generator, velocity, and a tempo-syncable LFO, singly or in combination. The Drive control can overload the virtual filter circuit to get the vintage feel you’ve been after. It’s not a tape machine. It’s a collaborator. To the uninitiated, a DAW might be thought of as the digital era’s equivalent of a tape machine. Sound goes in, you press the red button, and the sound goes to tape. Fact is that Studio One is an instrument unto itself, with a wealth of compositional tools and creativity-enhancing tricks that go well beyond utilitarian recording. Studio One’s tools are about creating something new and re-shaping the familiar into something new—not merely documenting something created elsewhere. Learn more about Studio One’s inspiring creative features. While we pride ourselves on the crystal clarity of Studio One’s 64-bit floating point mix engine, there is no doubt a certain mojo to analog signal processing—and one need look no further than eBay to see how much people are willing to pay for it. We asked: why pay those prices for bulky, half-broken, maintenance-prone dusty hardware? It’s in this spirit that we developed Mix Engine FX; a processing technology that affects your music across your channels, collectively—rather than just in a single channel like a traditional plug-in. This allows for vintage-inspired artifacts like console crosstalk, surface noise, tape saturation and bleed, and more. You can apply it to any channel or bus—even the mains. Studio One Professional has the Technical Grammy Award-winning Melodyne Essential built right in, giving you single-keystroke access to the world’s greatest pitch correction software. Give those pitchy vocals a gentle nudge closer to home, or apply liberally for extreme vocal effects. Studio One’s ARA 2.0 support means this sort of pitch control works fluidly and seamlessly—and also opens the door to other developers to create pitch and time-focused software that plays well in Studio One, including (but not limited to) Antares Auto-Tune, SynchoArts VocAlign and ReVoice Pro; the latter two are available at shop.presonus.com. 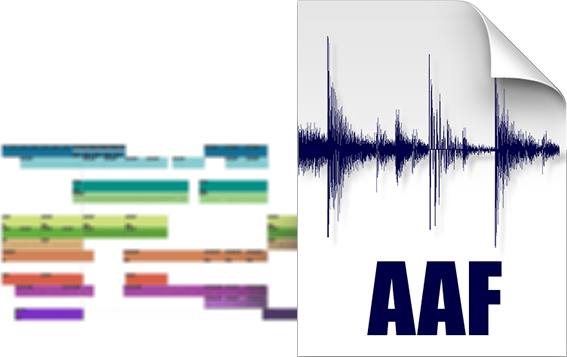 While other DAWs may have Melodyne, we had it first—and as a result no other DAW is more seamlessly integrated. Create a new world of sound with Extended FX Chains. Broaden your sonic palette with Extended FX Chains; a fast, and powerful tool for sound design. Route multiple simultaneous audio effects in myriad ways: serial, parallel, or split by channel, or frequency bands. 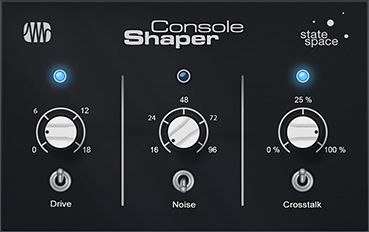 You’ll discover new life in your old plug-in collection; instantly transform any effect to multiband and combine different effects in new ways to explore uncharted territories. Your only limit is your imagination. 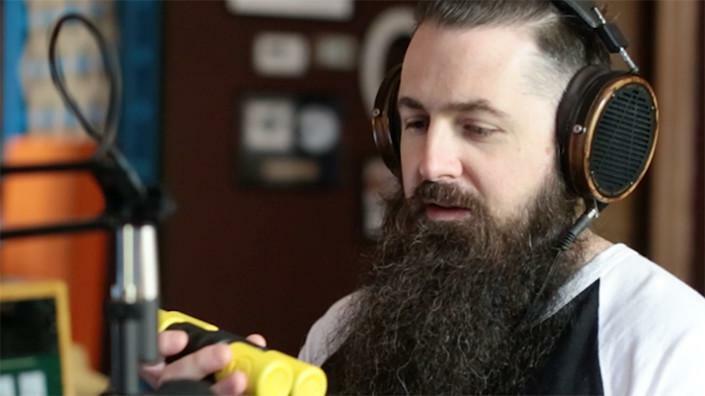 Bring your Instrument tracks to life with Note FX. Patched in a similar fashion to audio FX, Note FX process the instrument note data, rather than the audio output signal. 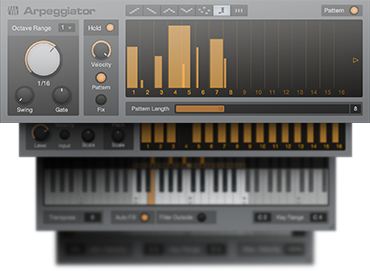 Arpeggiator (Professional only) offers multiple modes: Pattern mode, with individual velocity and gate time settings for individual steps; Chord Mode, where the notes of a chord are played through the pattern; Manual mode, where the notes are arpeggiated in the same order as they’re played on the input, creating step-sequencer like effects. Repeater (Professional only) can create anything from basic delay/echo effects to complex patterns and glissandi. Individual pitch offsets for each step in Pattern mode give this tool a unique twist. 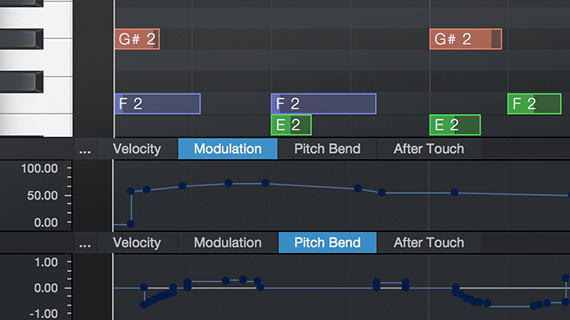 Manual Pitch mode lets you create complex note sequences. 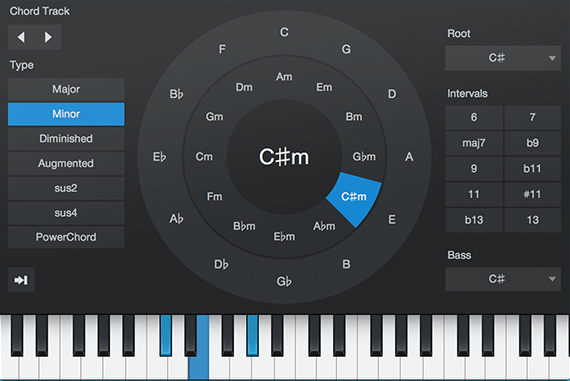 Chorder (Professional only) creates automatic chords from single notes played on the input. Each note on the keyboard can have a different chord assigned to it. With Transpose, the chord pattern can be shifted to any key. Input Filter replaces the input filter found in the Track Inspector for Instrument Tracks. It can be used to limit the key range and velocity range of instruments at the input. Multi Instruments: A better way to layer sounds. Multi Instrument lets you stack multiple synths and Instruments (as layers or key splits) on a single Instrument Track and record, edit, and play them like a single instrument. This opens a huge new range of possibilities for creative production and sound design. The step sequencer has served us well for over half a century—it’s time for Studio One’s new Patterns to step into the future. Tight integration with instrument parts, automation, and Impact XT means that Patterns re-invent step sequencing as a seamless, fast, fun part of making music. How Patterns speed up music and beat creation. Impact XT’s integration with Patterns will change how you think about drum programming, because the combination makes beat creation fast, fun, and effortless. 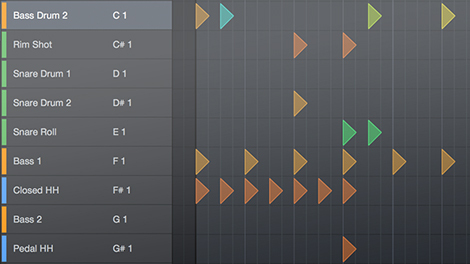 There’s no need for a separate plug-in or track type to do pattern-based sequencing, because Patterns work side-by-side with conventional Instrument Parts on the same track. You can even choose, rename, copy, and re-order an unlimited number of Pattern variations from within the Arrangement—you don’t even need to open the Pattern Editor. And, there’s a new library of inspirational drum Patterns and Variations Patterns in the Musicloops format for easy, drag-and-drop saving and export. From the first 8-step analog versions, step sequencers have helped put the “electronic” in electronic music. But software versions haven’t kept pace—until now. Step sequencers have traditionally been separate programs or windows within a host, but Studio One takes a fresh approach where step sequencing becomes another type of part, like note events and audio, and is equally easy to edit. Another important aspect is integration with Impact XT, which auto-populates Patterns with named instruments. Forget about the tedious process of mapping notes to pads—just load and go. 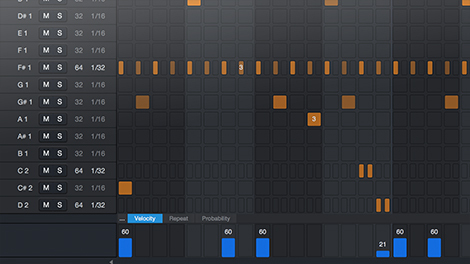 Even better, Patterns are very much like playable, real-time instruments. You can change every parameter on a per-step basis—including 10 levels of repeat for “strummed” effects, a probability algorithm that adds variety by selectively dropping out notes, and automation lanes. Vary automation parameters in real time for the instrument being driven by the Pattern, and tweak while playing until it sounds just the way you want. Once the pattern is complete, click and drag the Pattern’s edge to extend the Pattern for as long as you want within a track. And if you’re not really into step sequencers...no worries. You have Patterns now. Studio One Professional is the only DAW that links songs and stems with finished, mixed Projects. 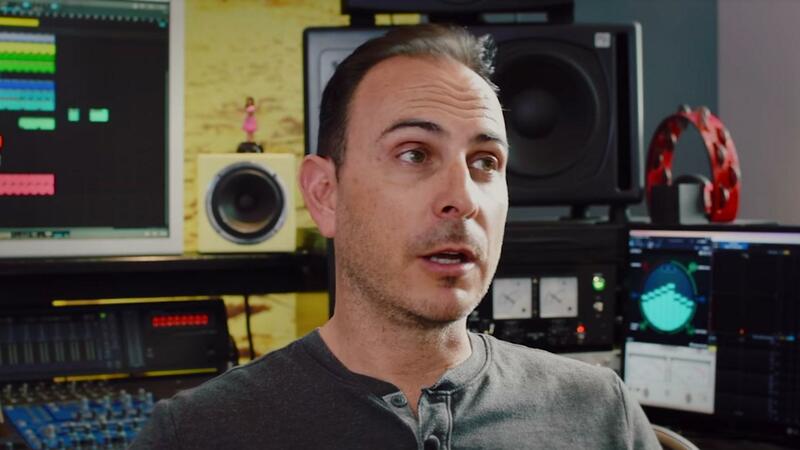 Transfer mixes or mixed stems to the Project page for mastering—but if you hear anything you need to change, simply jump back into the Song, make your tweaks, and then mix the revised version back automatically into the Project page to continue mastering. Whether for Red Book-compatible CD burning, digital publishing for streaming, creating DJ sets and playlists, or professional-level DDP import/export for duplicators, the Song page/Project page partnership makes it easy to obtain consistent levels and tonal balance with collections of songs. 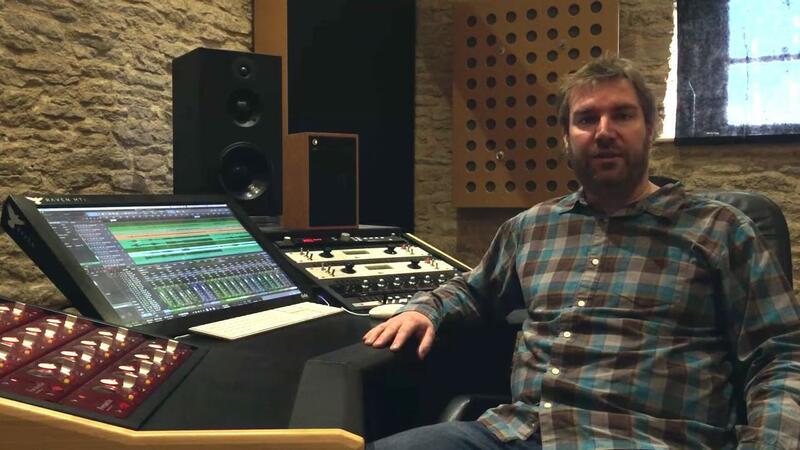 Discover how Studio One has mastered mastering. 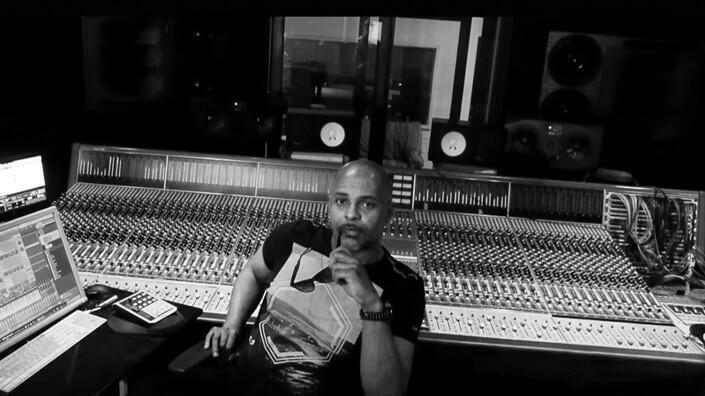 Songs and stems don’t live in isolation. They’re assembled into albums (or tracks in the case of stems), distributed online as a collection of files, published as CDs for a band’s merch table, or sequenced as a DJ set. 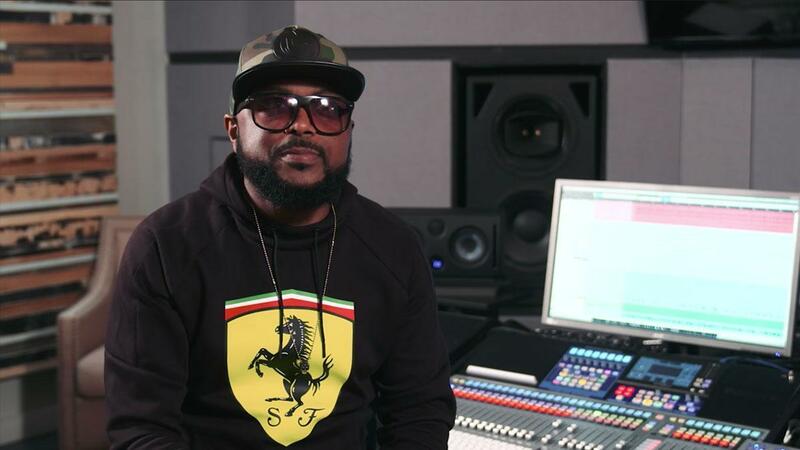 In all those situations, the songs need to have consistent levels and tonal qualities, and the final mixes need to be taken to a radio-ready level. 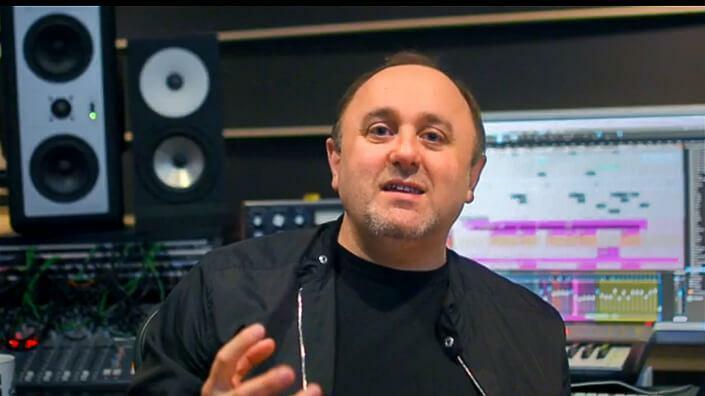 Studio One Professional remains the only DAW that treats multitrack recording and mastering as separate processes—which most engineers agree they are—but links the two processes so that changes made in a Song page are reflected automatically in the mastering-oriented Project page. For example, suppose you’re putting together an album with 12 songs, and you find the levels vary. No problem; you can balance the levels. But let’s take this even further, where you find the vocals on track 3 are softer than the other tracks, and also, not quite as bright. 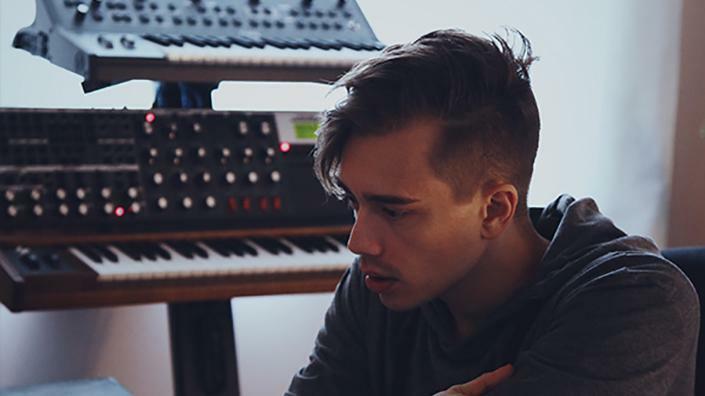 Normally, you’d need to open the song, make the changes, export the mix, import it into a mastering program, remaster it, and hope that it ends up sounding right in context with the other tracks. There’s a better way: From the Project page, open the Song page in Studio One, make the edits, then tell Studio One to incorporate those changes when you switch back to the Project page. Done—and now you can hear those edits in context with the other tracks. 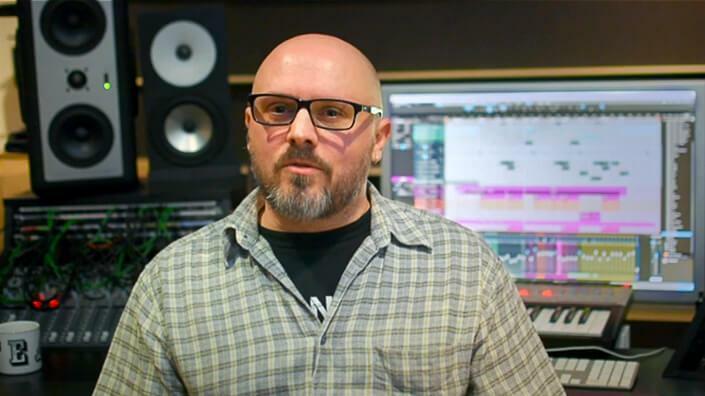 Studio One’s plug-ins provide the final EQ, dynamics, and imaging control that can make the difference between a track being “good” and “great.” But you’ll also find analysis tools, like spectrum analysis, K-System and EBU loudness metering, phase meter, expandable level meter, and oscilloscope to provide visual confirmation to what you hear, as well as help with conformance to existing broadcast and duplication standards. Apply processing to individual tracks or the entire collection, to take your mixes to the next level. Publication and distribution—straight from your workspace. When it’s time to publish, Studio One has all the bases covered: DDP export for duplicators, Red Book CD burning, disc image, and digital releases in multiple formats (including integrated publishing to SoundCloud). Yes, Studio One excels at multitrack recording—but it also knows what to do with your songs once they’re finished. Diverse and versatile format support. Studio One is designed to efficiently assist you in your creative process without getting in the way. One testament to this design philosophy is Studio One’s custom keyboard shortcuts. Not only can you customize all of Studio One’s key commands to your liking, there’s even presets available for the key commands of other DAWs like Pro Tools, Logic, and more—your transition to Studio One will be as smooth as possible when using your old, familiar key commands. You also get Custom Macro functionality, allowing you to build combinations and sequences of keystrokes and assign them to a single keyboard shortcut or button in Studio One’s Macro Toolbar—reducing the time required for oft-repeated tasks in your workflow. 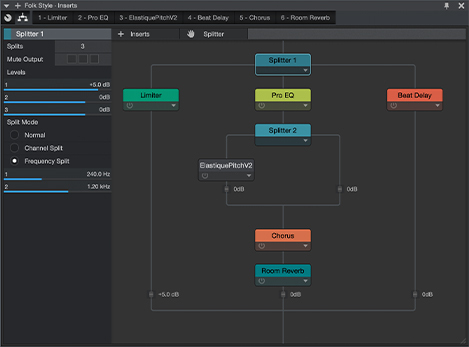 Learn more about how Studio One adapts to your workflow. Get the best control of your performance with Macro Controls. To facilitate editing the multidimensional sounds that are made possible by Studio One, each Console Channel and Multi Instrument has a Macro Panel with eight knobs and switches that can be assigned to the most critical instrument or effect parameters. These Macro Controls in turn can be assigned to your favorite MIDI controller for hands-on fun with your sounds. With Macro Controls, multiple parameters can be assigned to the same control, with independent range/polarity/curve controls. Additional XY vector pads can be assigned with individual parameters; they can collapse/expand and are most useful when using a multitouch enabled display. Plus, each Extended FX Chain and Multi Instrument also gives you the ability to access and edit individual instrument and FX settings. You can also collapse or expand Multi Instrument in the Console for individual control while mixing. Mixing your biggest multitrack projects just got easier with VCA Faders. Originally introduced on large-format analog mixing consoles, VCA Faders provide remote control of any number of channels from a single fader, complete with relative level control and automation. Imagine just one fader for vocals, one for drums, one for the rhythm section, and one for horns—VCA Faders are so simple, you could get a handle on your mix with just one hand. The new Smart Tool boosts your editing efficiency by serving as two tools in one. Simply mouse over the upper or lower half of a clip, and the Smart Tool will adapt and function as the Selection Arrow or Range Tool, respectively. This saves a lot of time on menu navigation and tool selection. You’ll be amazed at how quickly you get used to this one! Comping and Multitrack Drum Editing. Studio One’s comping tools make the once-tedious task of assembling a perfect take simple, efficient, and, well… fun. Simply set up some loop points and record take after take without ever stepping out of your groove… and when you’ve built up enough layers, use the Range tool to promote the best parts to your main track. You’ve got a perfect take, and all you had to do was press the Record button and jam for a few minutes. When it comes to multi-track drum editing, Studio One provides a robust suite of tools and features including grouping, guide tracks, transient detection, and options of slicing or time stretching methods. It's like having your own personal rhythm investigator on the job. 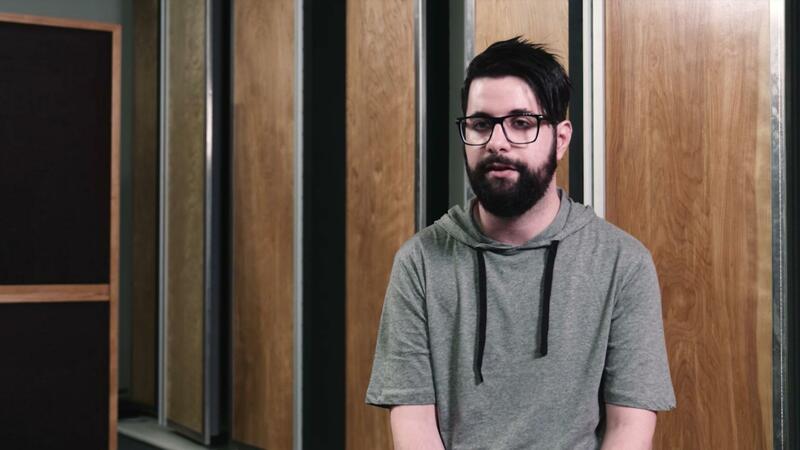 And once you've found the way you like to best edit drums, you can keep your setup to make the next session's drum editing go even more quickly. 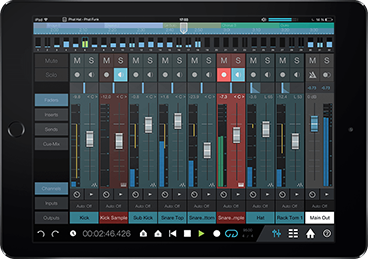 With Studio One, you can unchain yourself from the studio desk and record and mix away from your computer using Studio One Remote for iPad, iPad Pro and Windows tablets. Control your mix, effects, and transport; trigger commands and macros; edit inserts and sends; and access audio fx. Learn more about Studio One Remote. Equally at home on multiple screens and touch screens. Studio One is more than just a pretty face. Studio One gives you the flexibility to customize the look to your taste or for different work environments. We also wanted you to enjoy Studio One no matter where you used it, from a small notebook to a 5K display, including multi-monitor setups (we tested it on six!). Studio One delivers thanks to its high-dpi graphics. 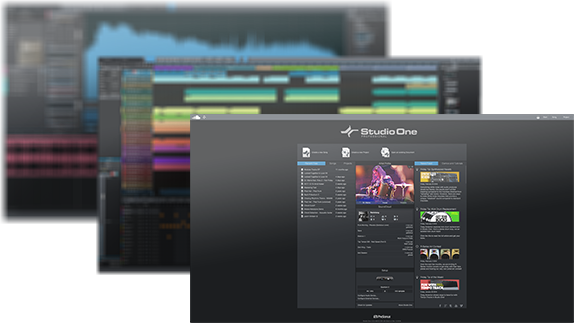 And Studio One supports the latest multi-touch computers and monitors so you can get your hands on your mix, arrangement, editing tools, and more. The PreSonus team did a great job with this new version, building a nice foundation for future growth. Studio One has long been a DAW with the potential to genuinely change your musical life, and version 4 reinforces that position. 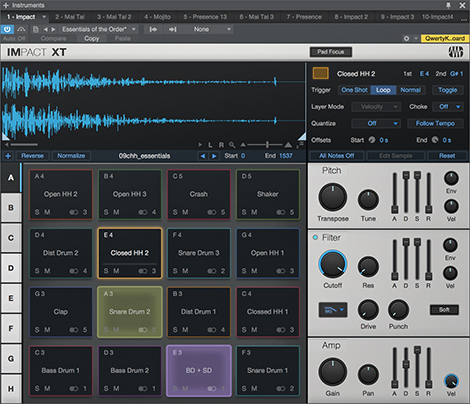 Studio One 4 still feels snappy and is a terrific platform for music production. For those who are not yet working with Studio One, now is the time to start. When you look in Version 4’s new features shopping trolley, there’s a bucketload of shiny production tools right at the very top. Impact XT is now an excellent sampler offering a comprehensive amount of superior editing options. PreSonus delivers on what its customers ask for. They talk to customers. They listen to customers. They build Studio One for customers. All seamless, all easy, nothing in the way. As it should be! Recognition of chords is per se more demanding than that of monophonic material, not to mention pitch changes in single notes in chords. Studio One 4 Professional does a great job here. Studio One 3 Professional from PreSonus has got to be the most complete and robust DAW that I have ever come across. The Scratch Pad is truly one of those features that just might convince you to uninstall your current DAW. It really is that impactful. I’ve been using Studio One 3 since its release and it is truly a game changer. From demo to final mastering, it has everything that could be needed for any recording project. Studio One 3 exhibits much fresh thinking about audio production, and the results are impressive.